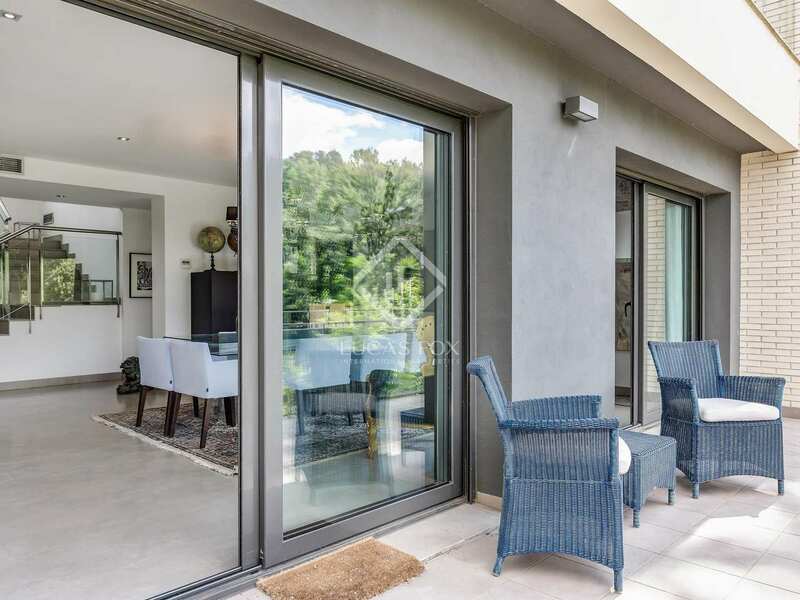 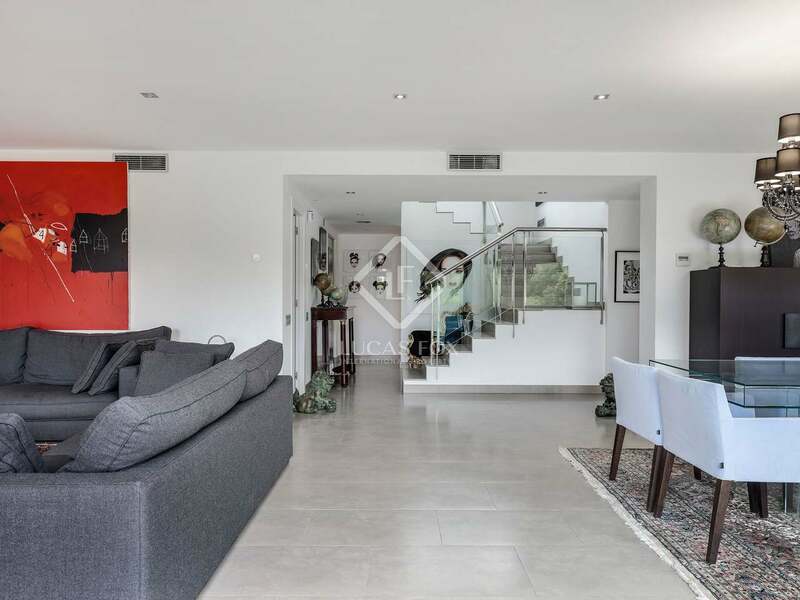 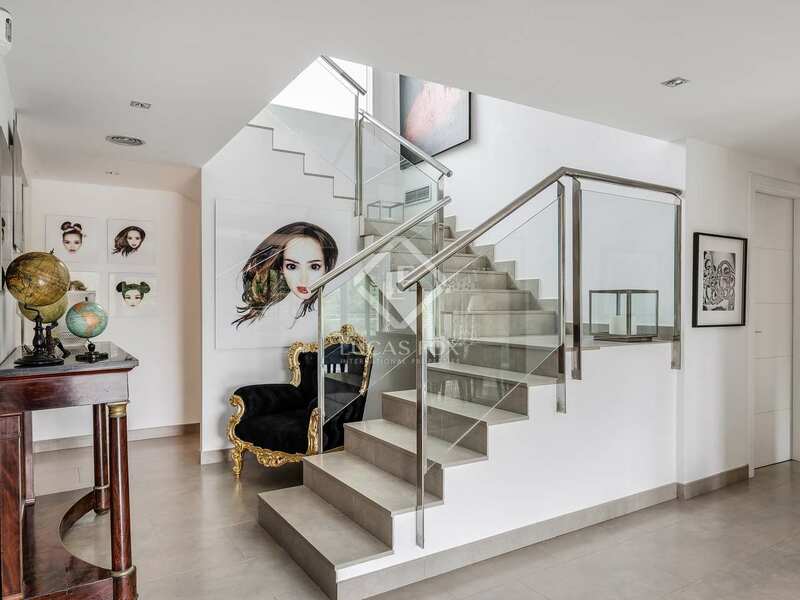 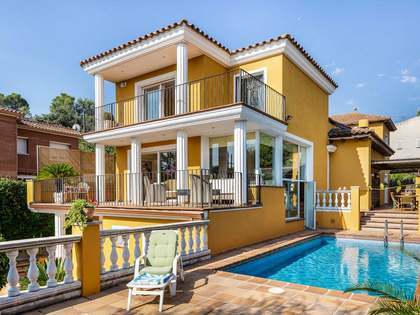 An excellent opportunity to acquire a magnificent nearly new house with cutting-edge home technology, at a competitive price in the Can Cortes neighbourhood. 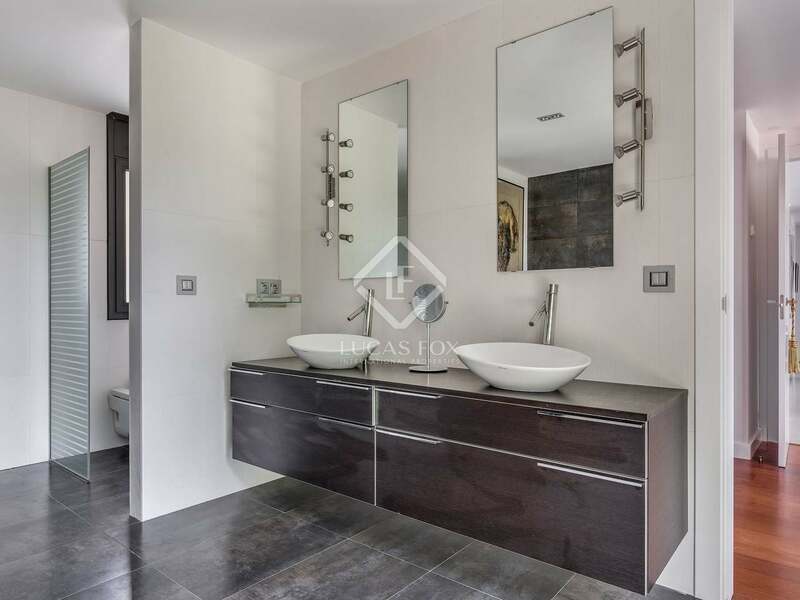 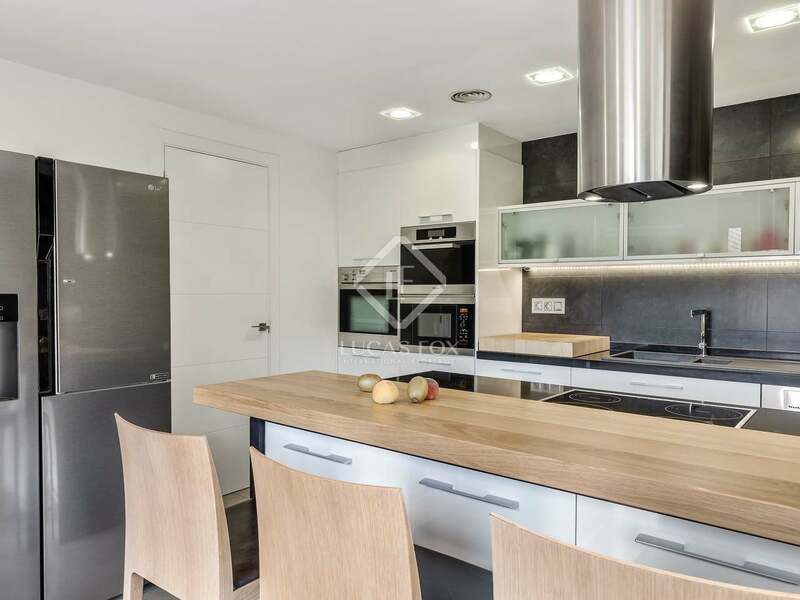 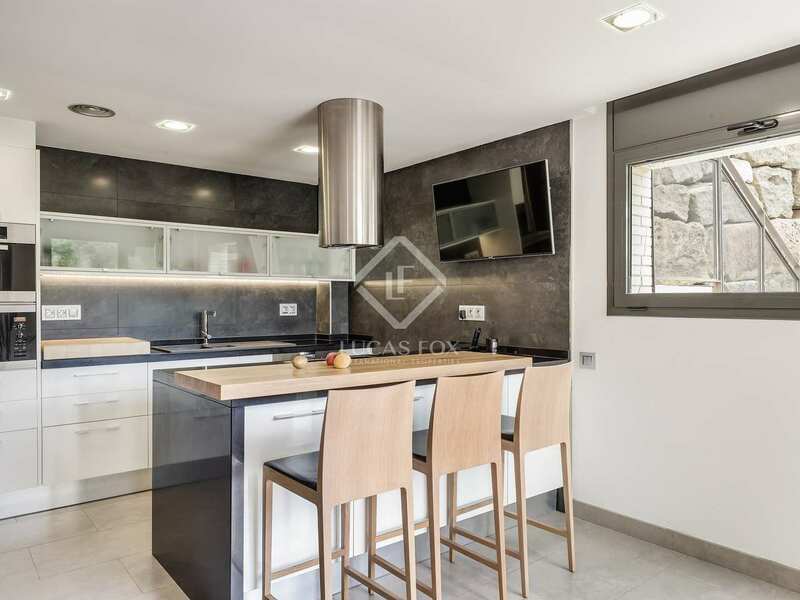 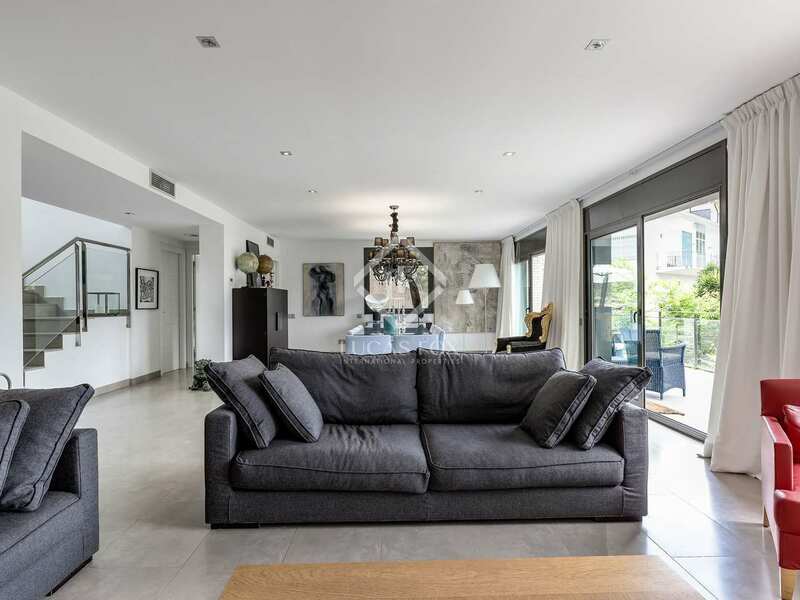 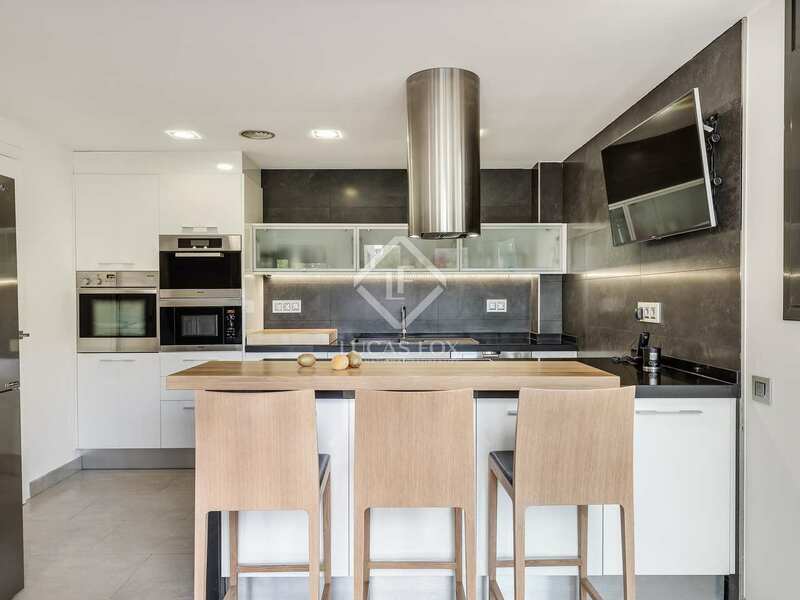 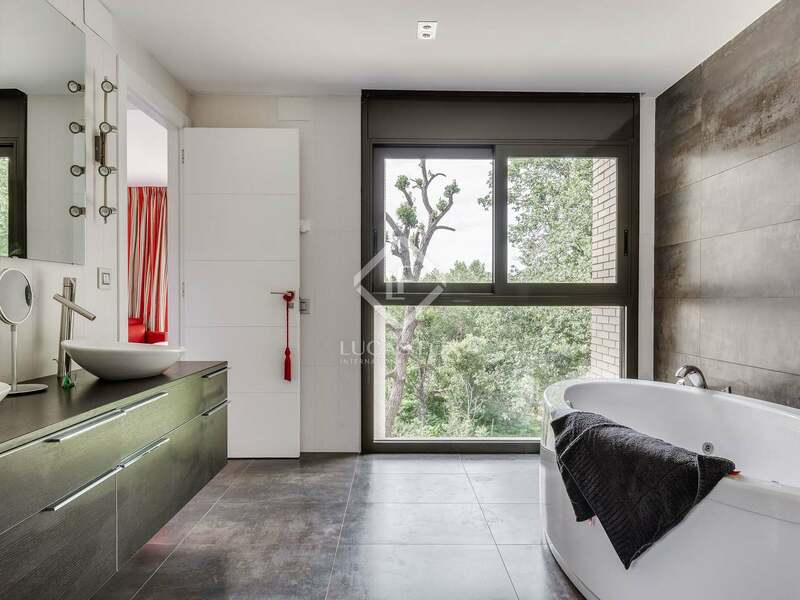 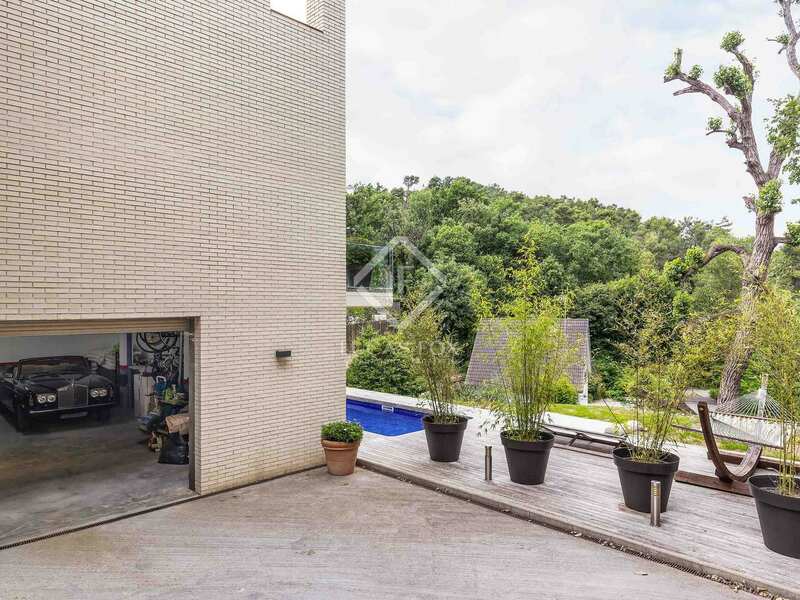 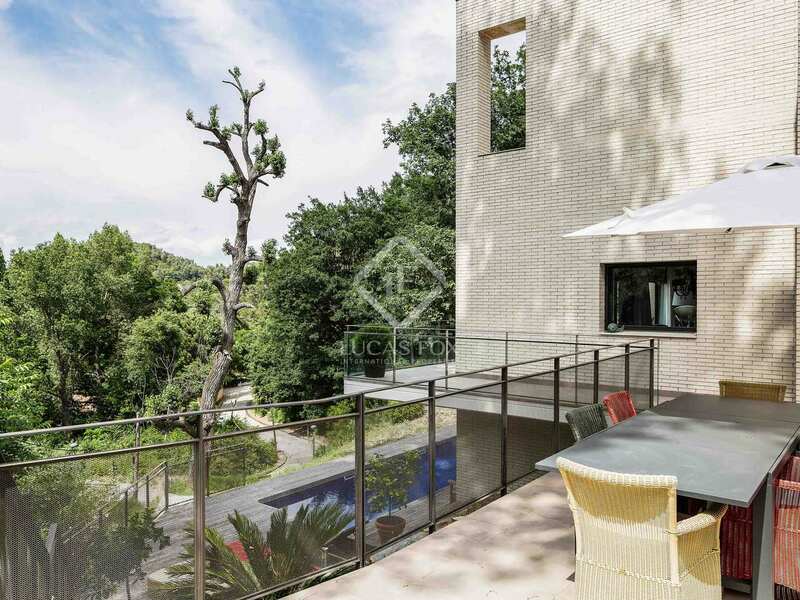 Nearly new house for sale in the Can Cortes neighbourhood of Barcelona, just behind Tibidabo and 10 minutes from the city centre and Hospital Quiron. 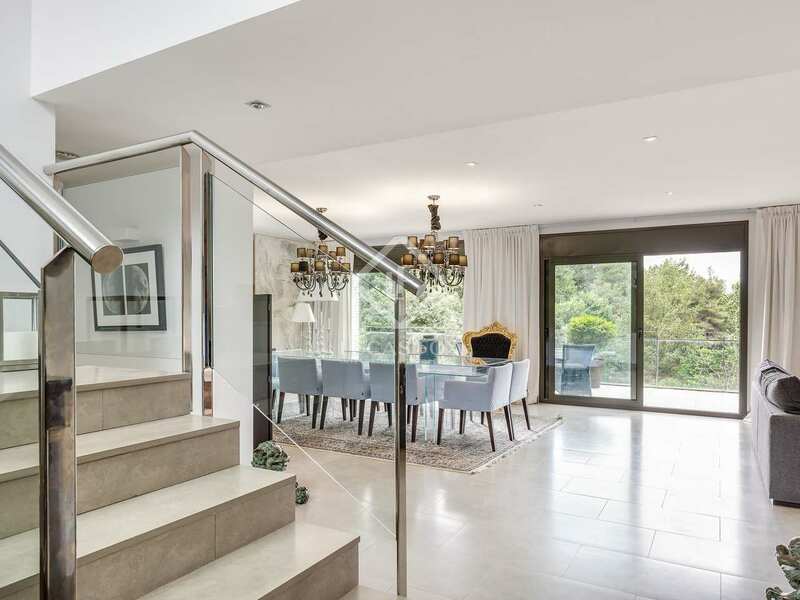 The house was bought as a new build just one year ago and has been improved and adapted by the current owners, presented today in pristine condition. 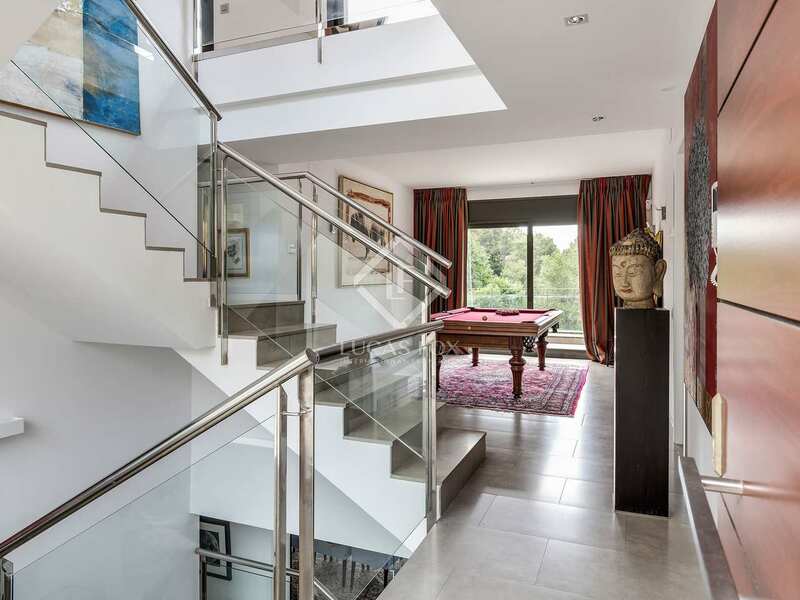 It has been built over 4 levels with a lift and a generous terrace on each level. 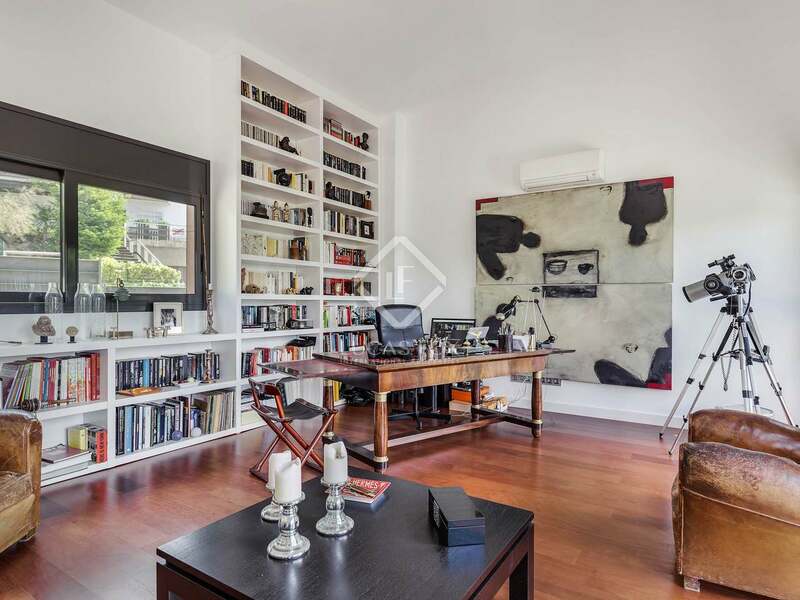 On the top level we find a great, bright chill out TV room and office space with a fireplace and a very large terrace. 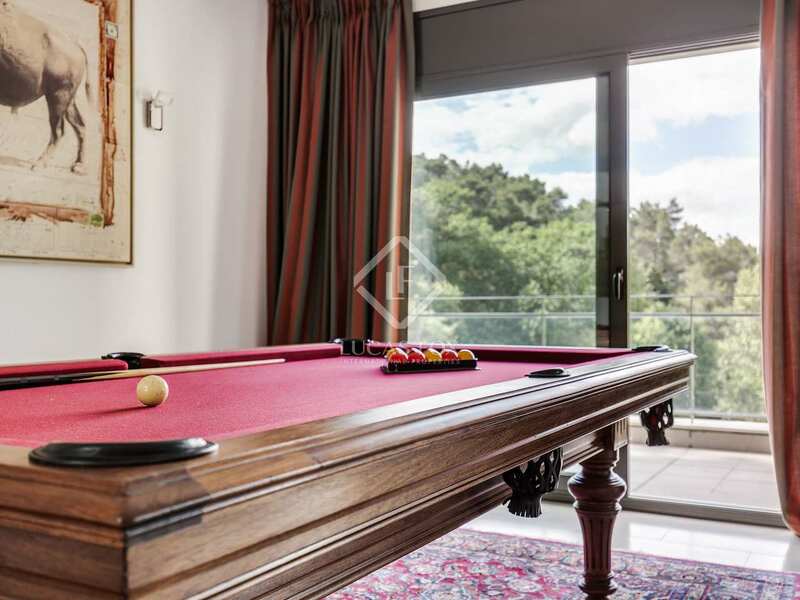 On the ground floor level we have the master suite, 2 bedrooms and a bathroom, as well as an entrance room with a pool table that could easily be converted into an extra bedroom. 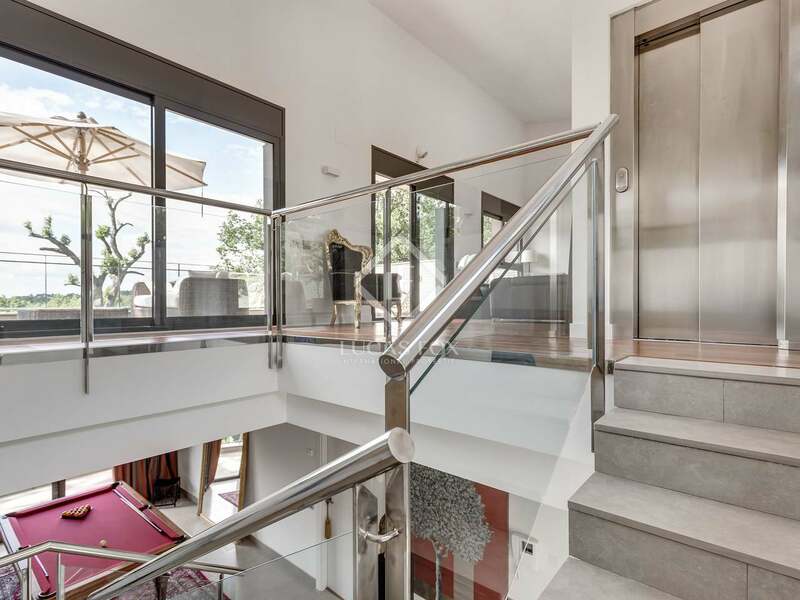 There is also a large balcony/terrace on this floor. 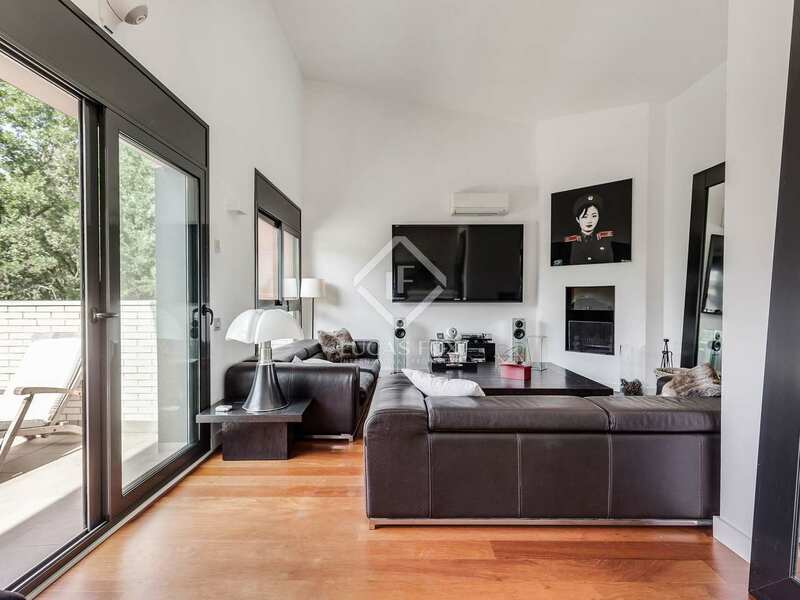 On -1 level we find another bedroom suite, the spacious living-dining room and the equipped kitchen (without a fridge), also with a balcony/terrace. 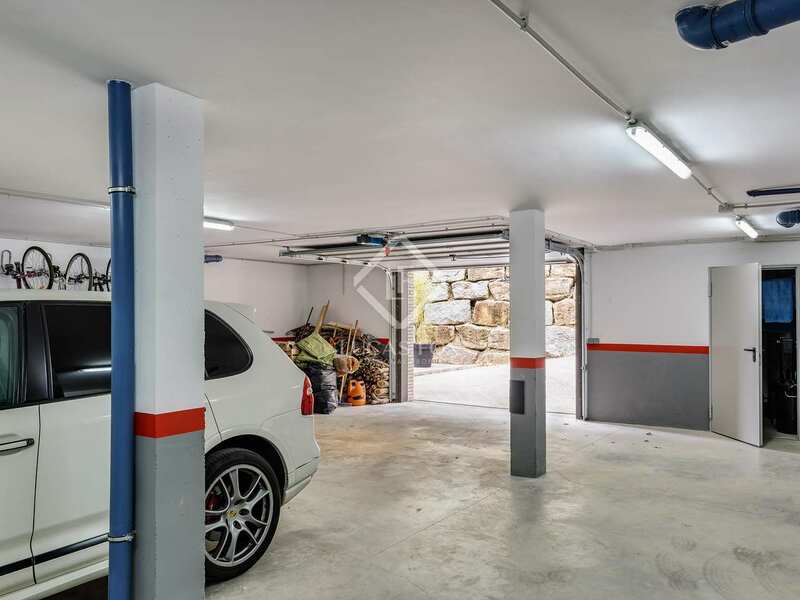 And finally the -2 level where we have the 4-car garage with extra storage rooms and machine rooms. 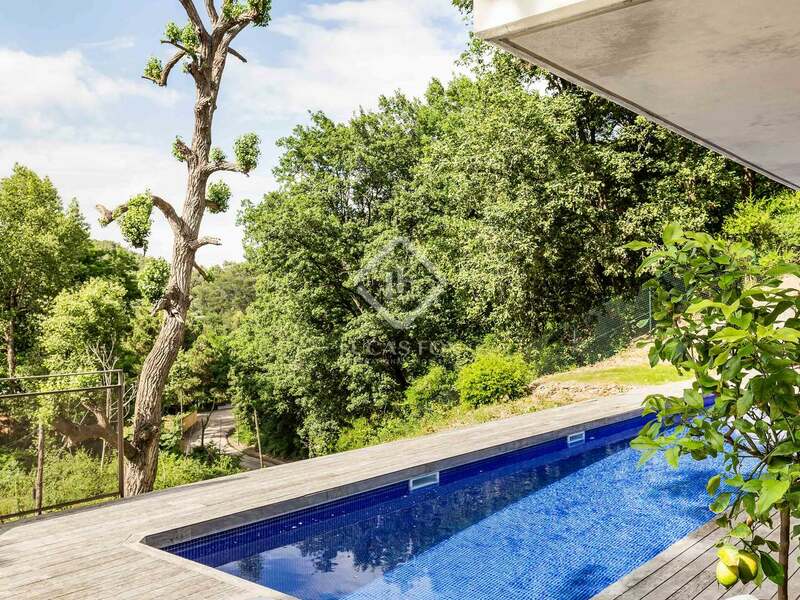 The salt water swimming pool and its wooden deck are also on this level, surrounded by a green area. 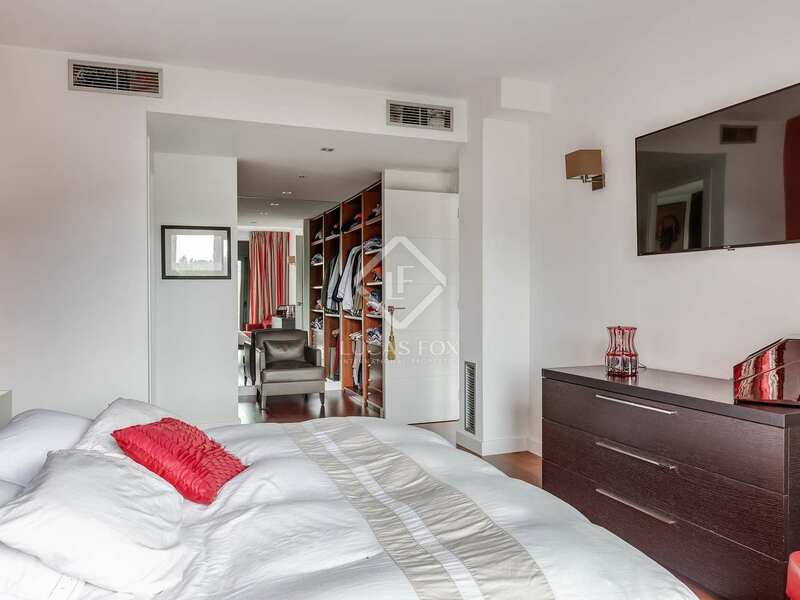 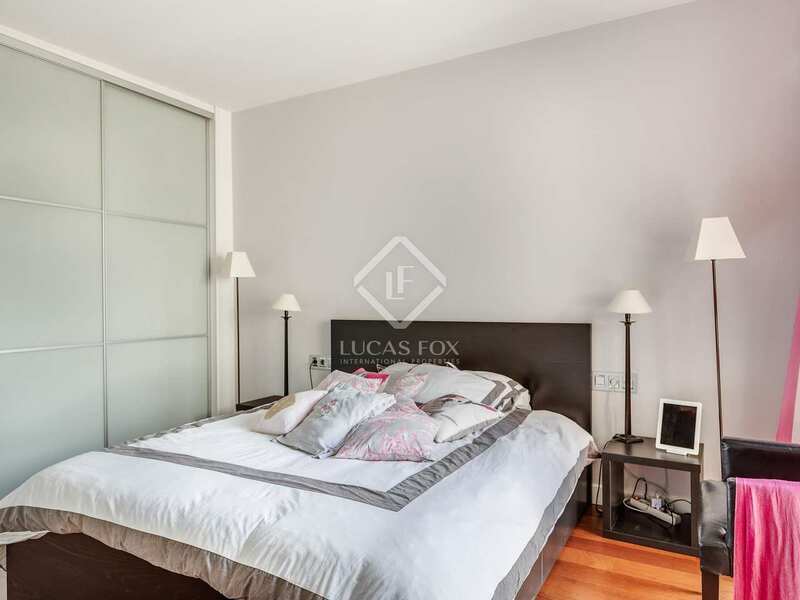 The property features double glazed windows, an alarm system, good insulation and high quality modern finishes throughout. 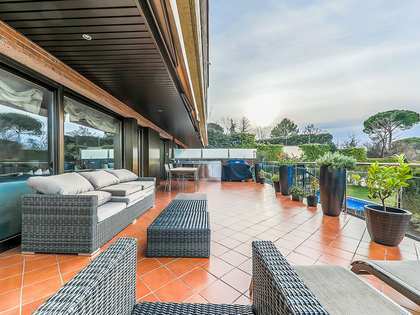 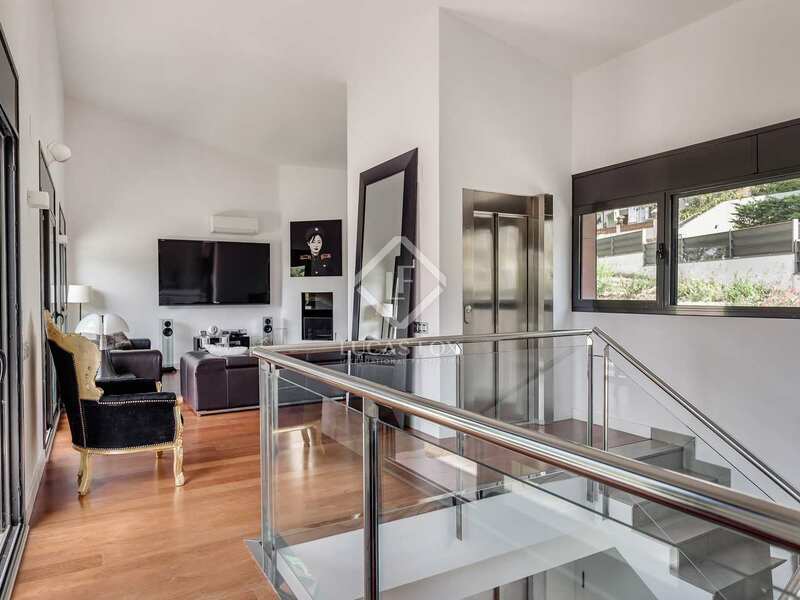 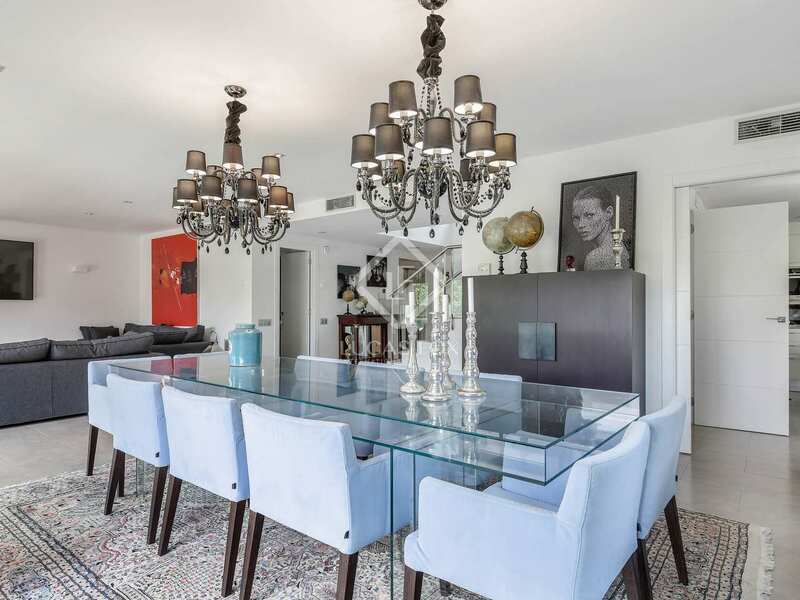 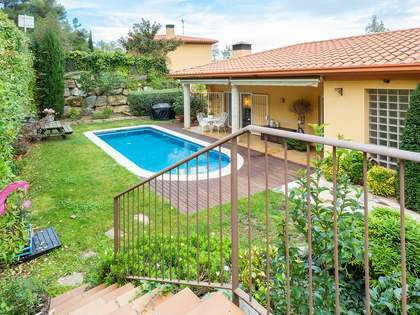 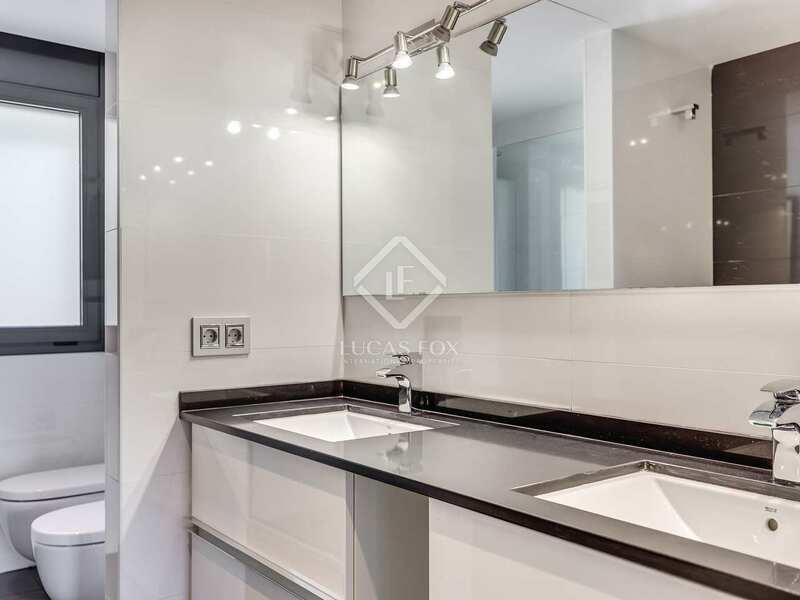 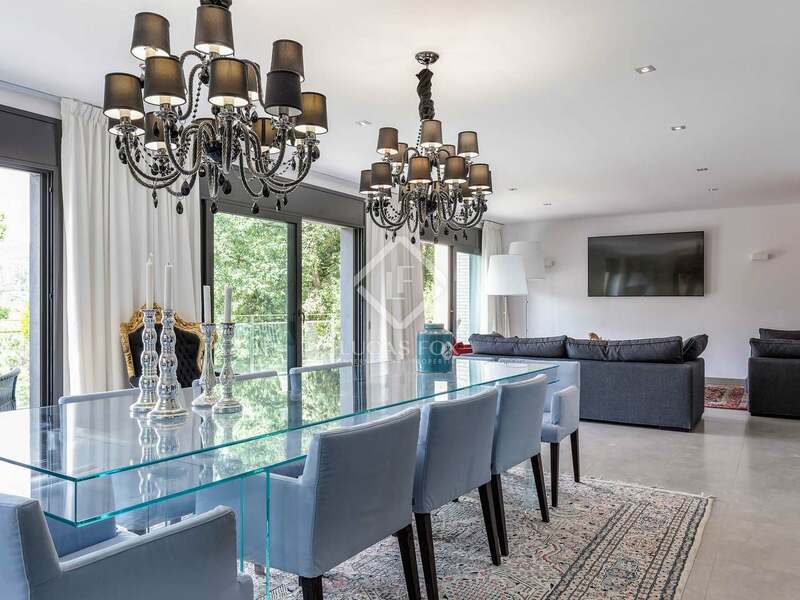 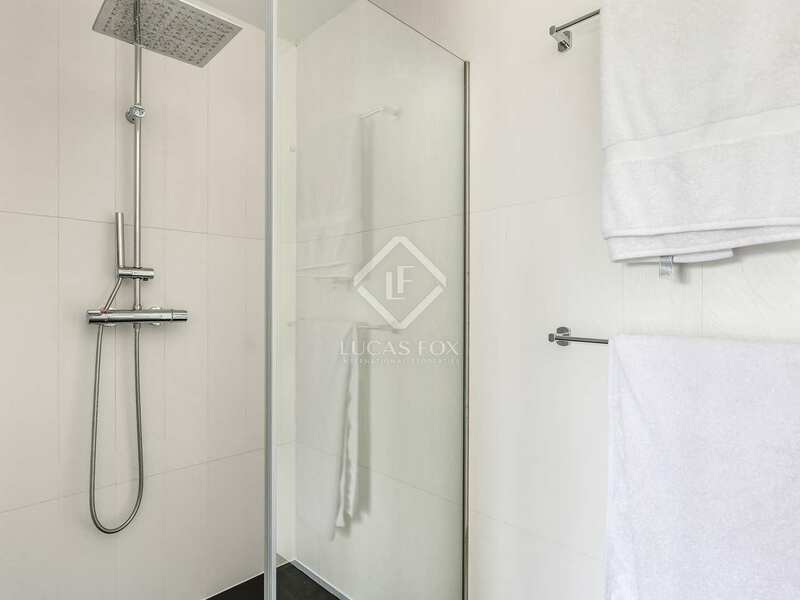 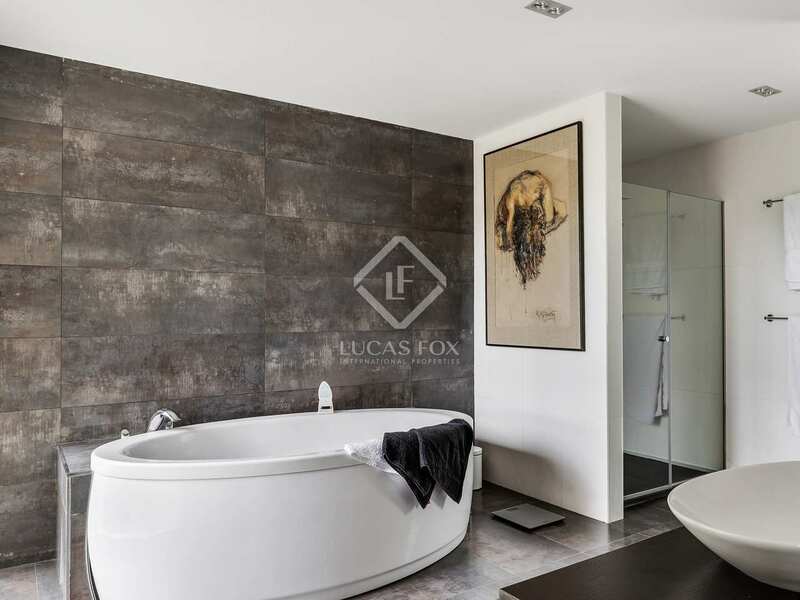 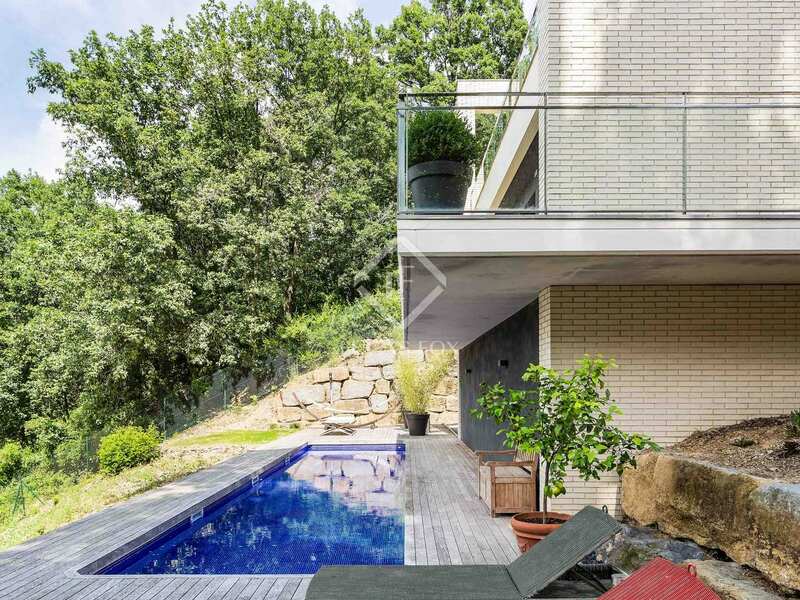 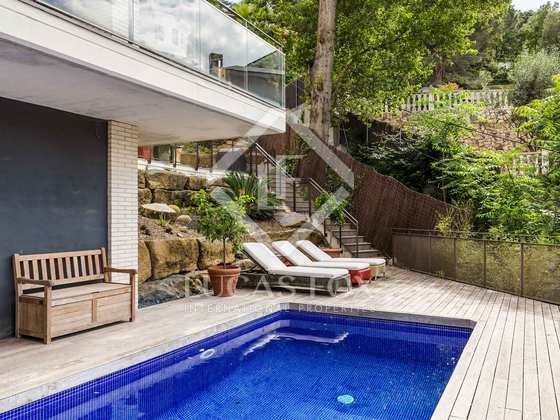 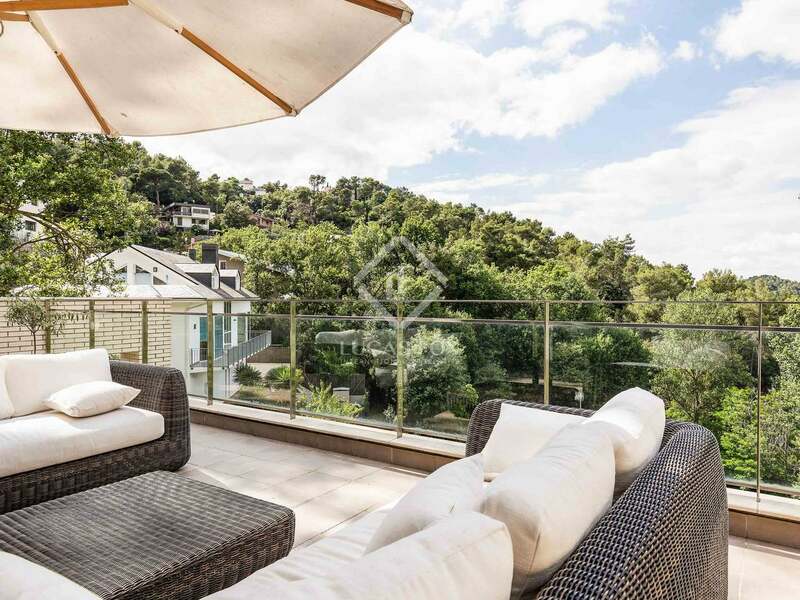 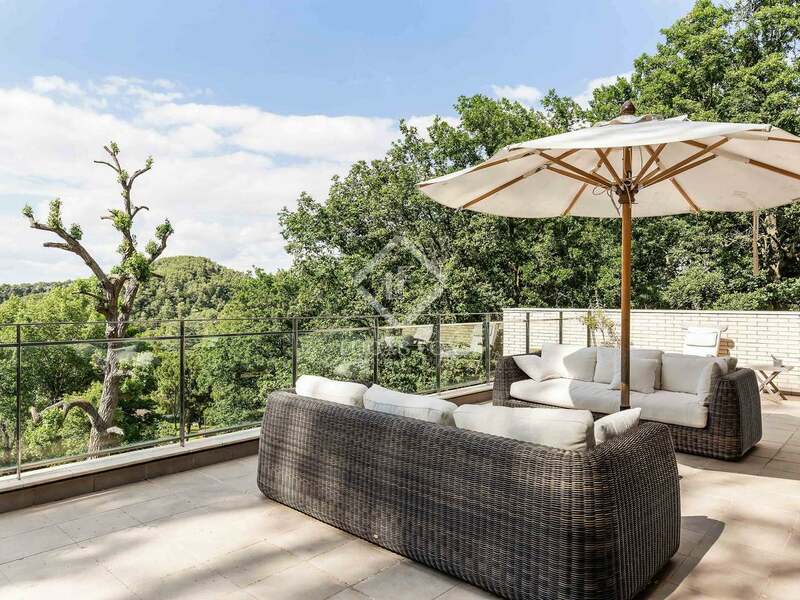 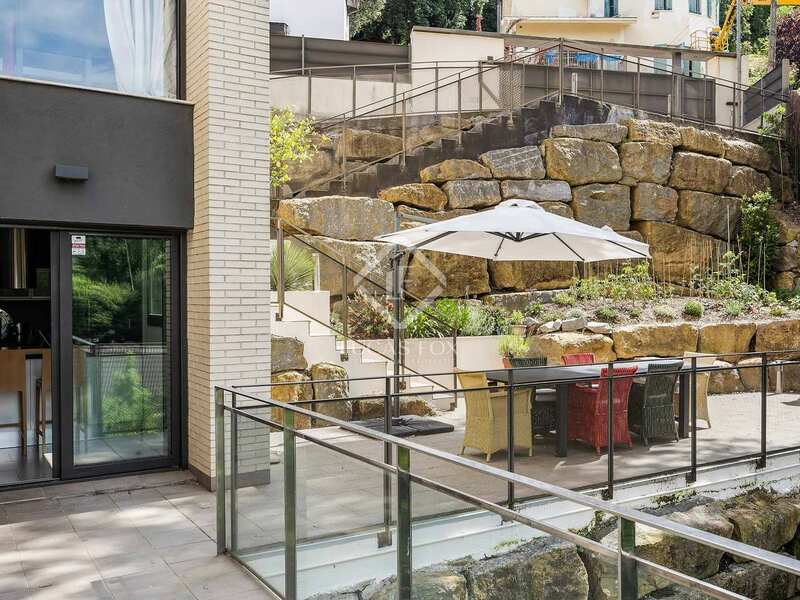 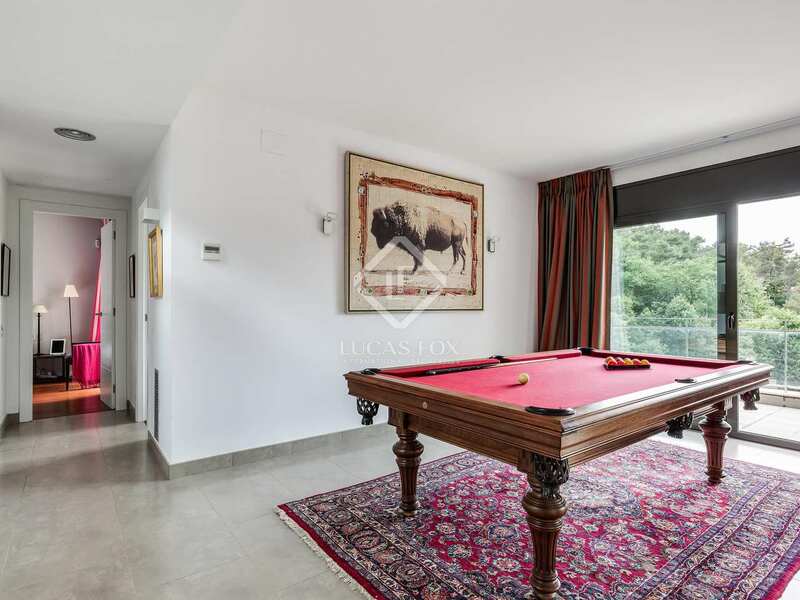 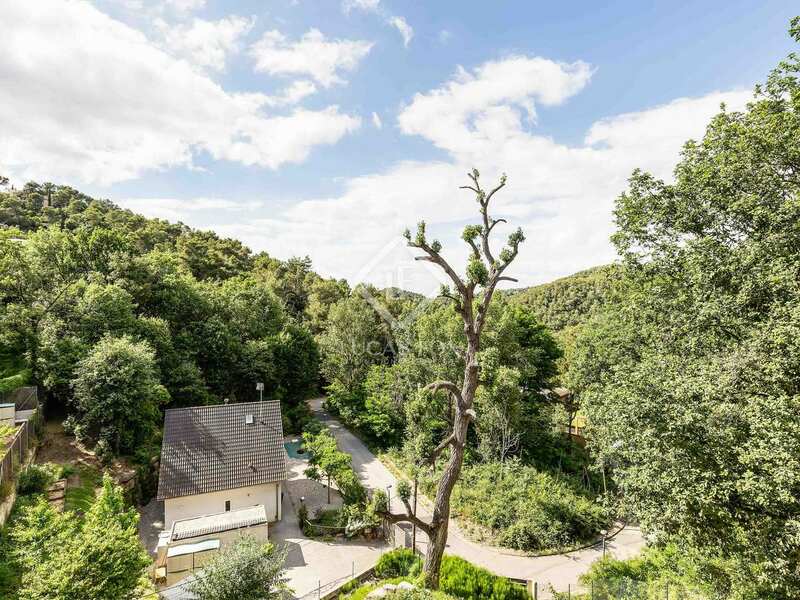 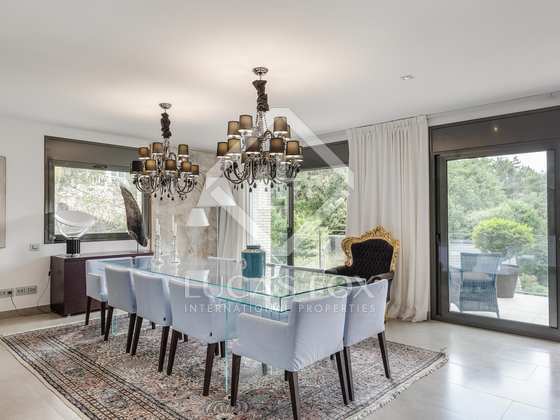 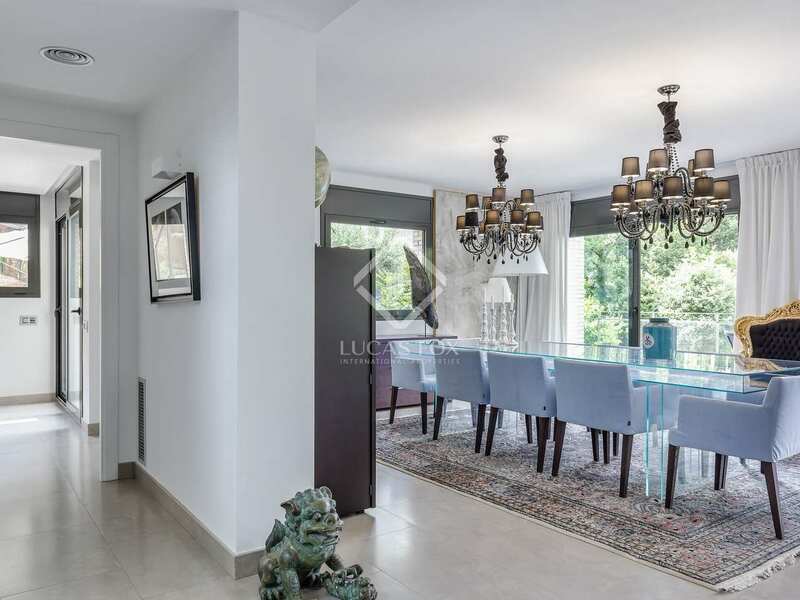 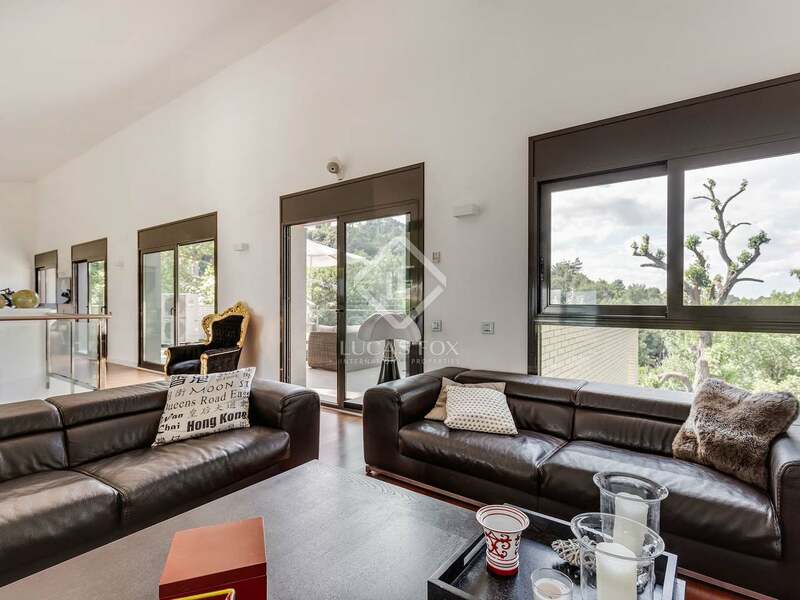 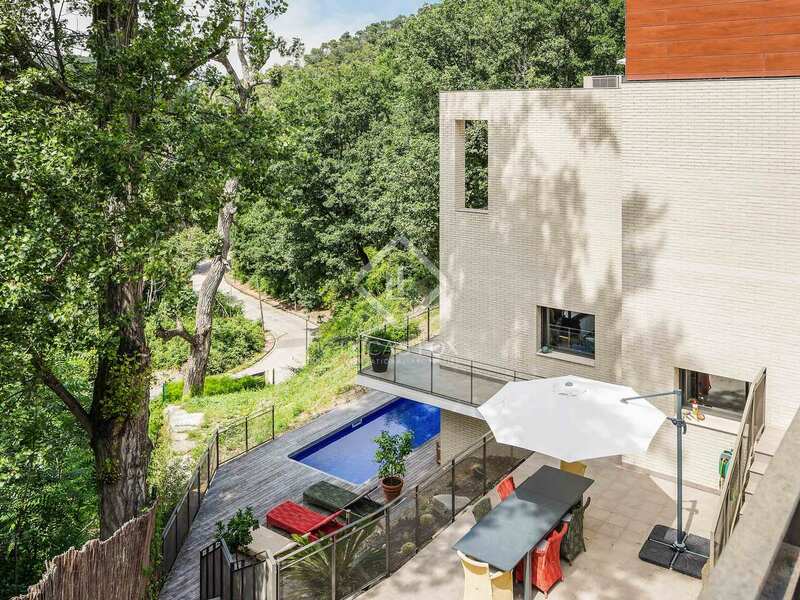 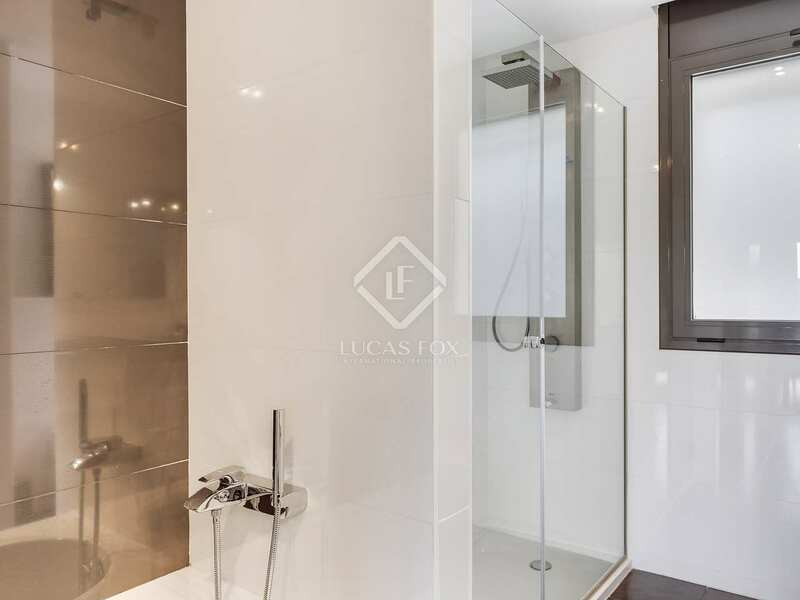 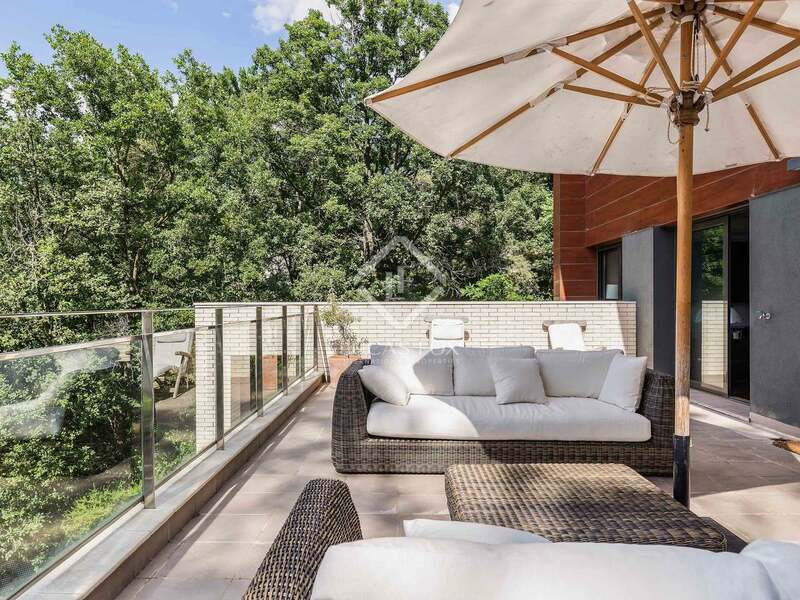 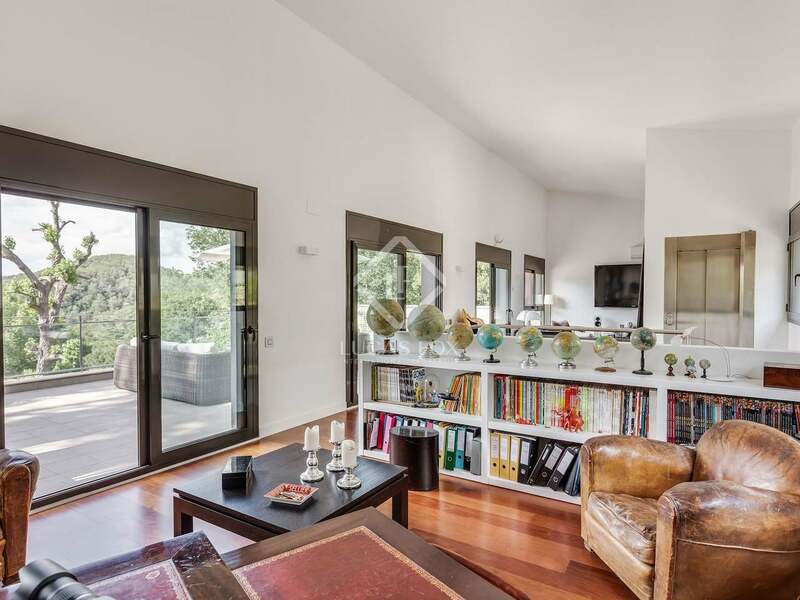 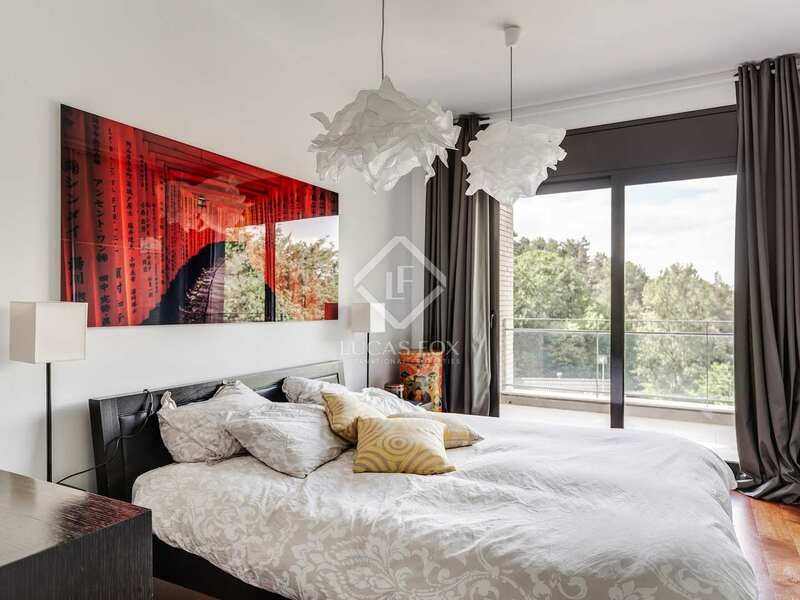 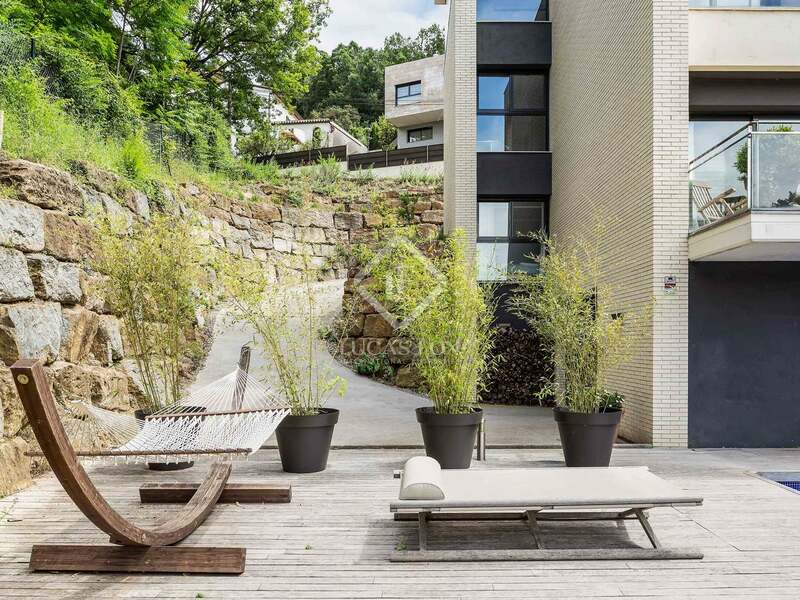 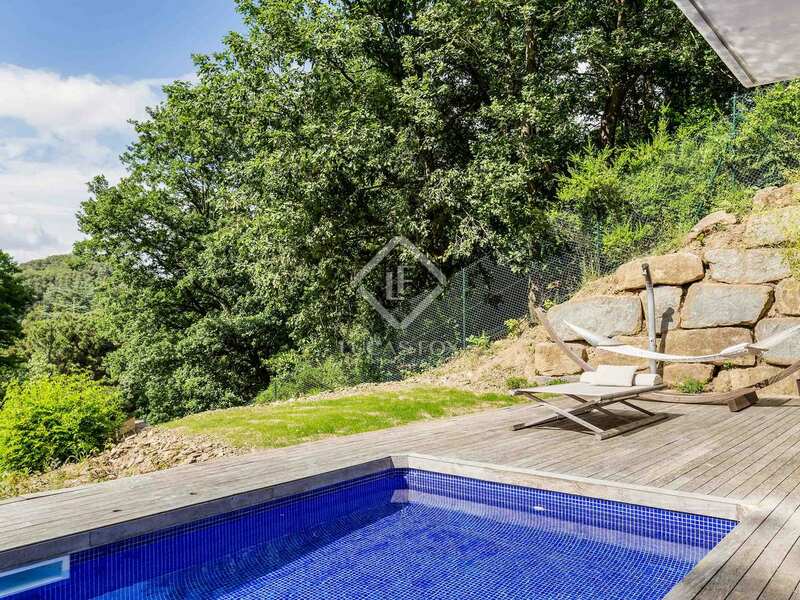 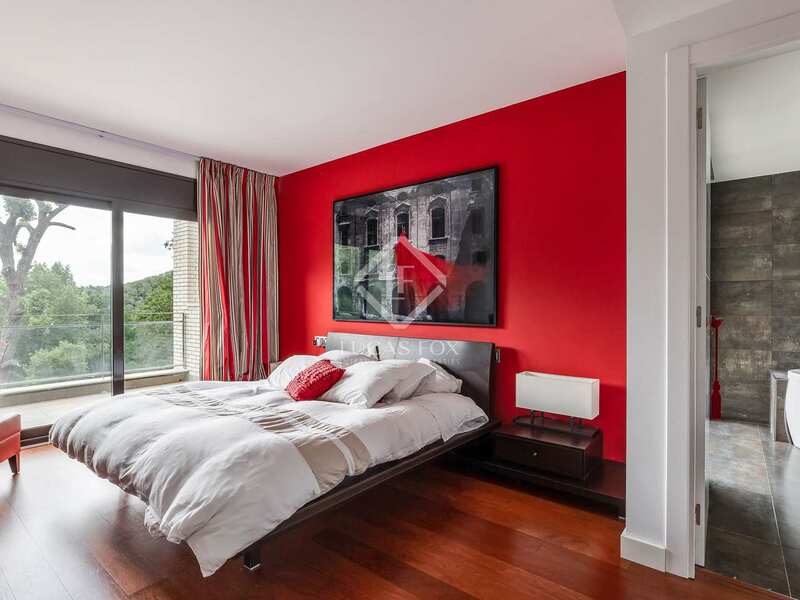 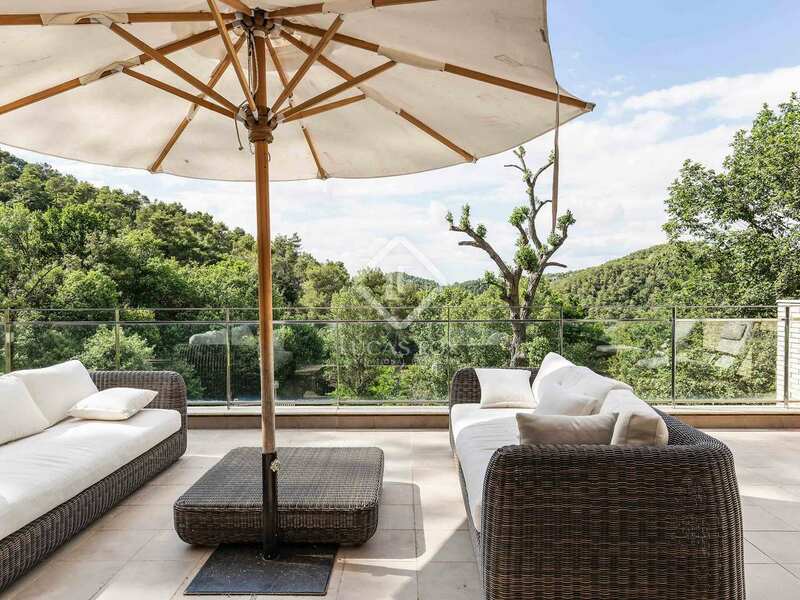 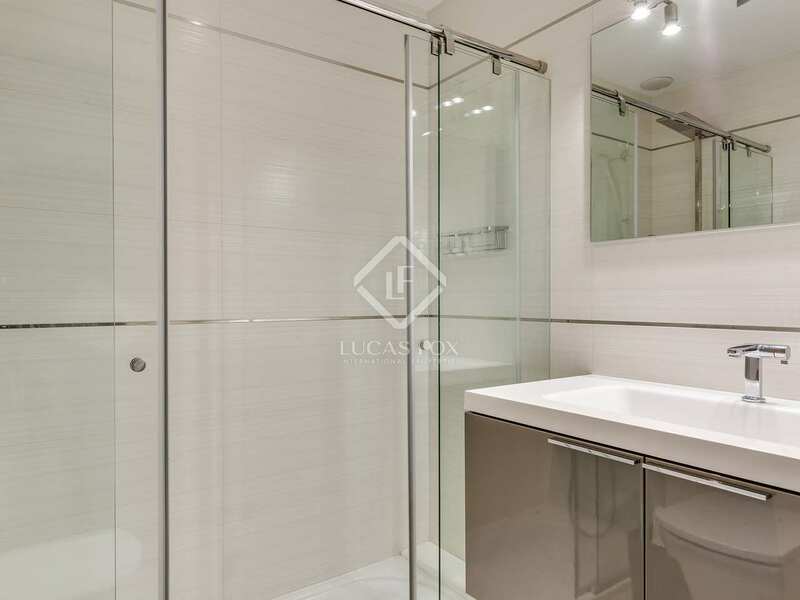 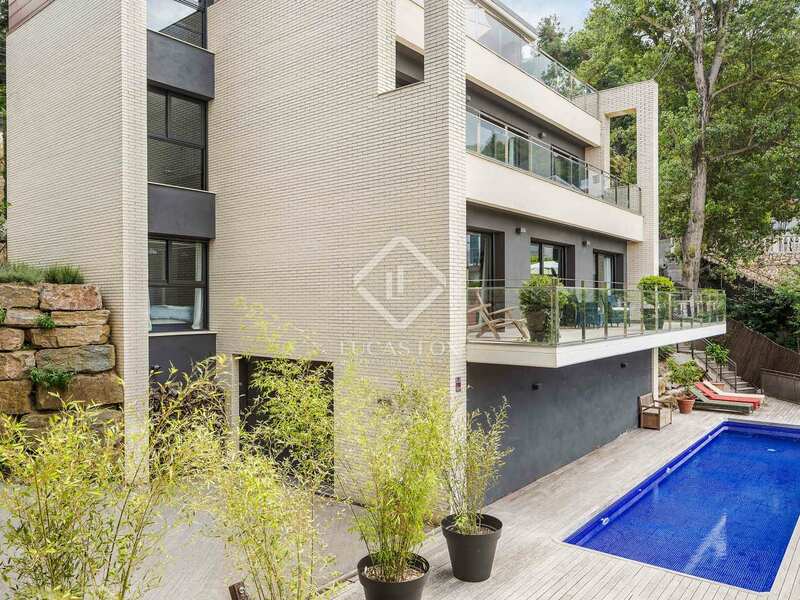 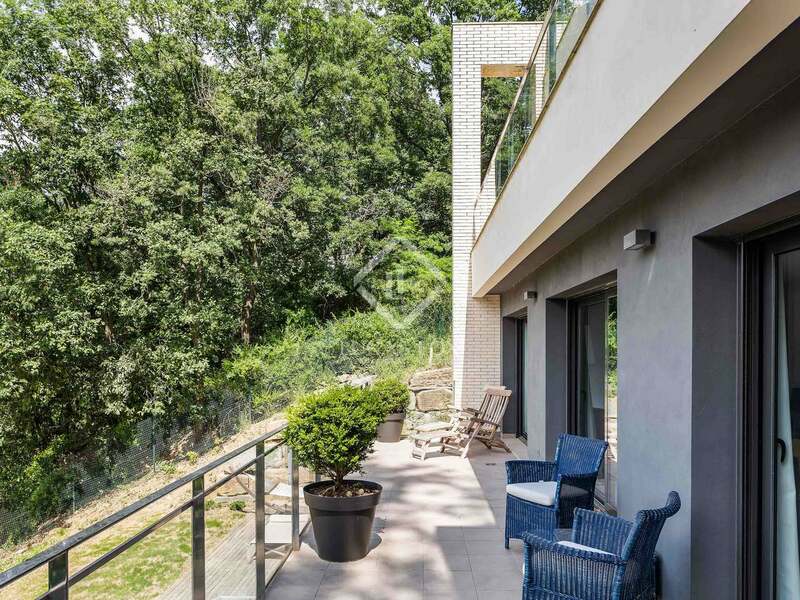 The peaceful surroundings and lovely leafy natural views make it hard to believe that this property is so close to the bustling city of Barcelona, making it the ideal place to return to after a long day out in the city. 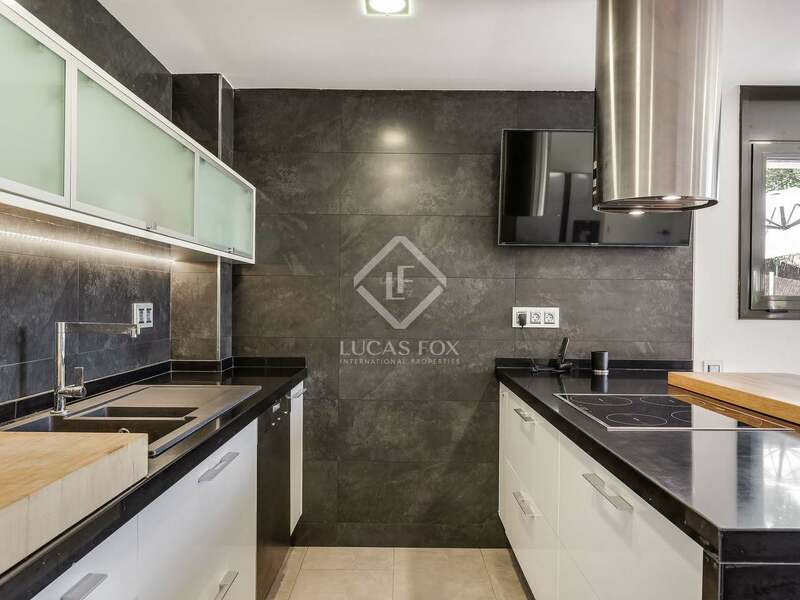 This property is loctaed in Can Cortes. 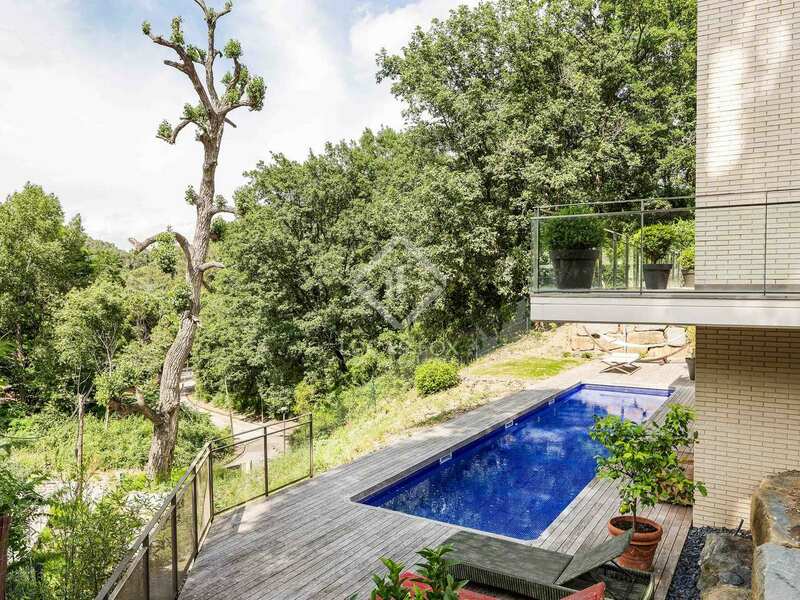 Can Cortes is only 10 minutes from the city of Barcelona. 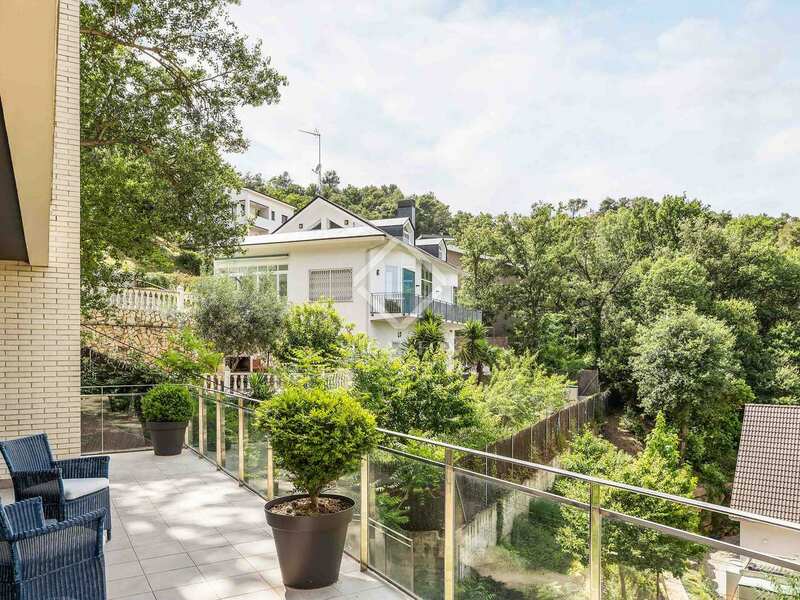 It is just behind Tibidabo and the Hotel La Florida, 10 minutes from Quiron Hospital.